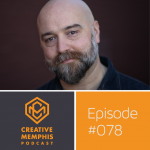 In this episode Karen Golightly, Jamond Bullock, Robert Burns, and Jack Chambers describe Memphis as a city of colors, the true identity of Banksy is revealed as a Memphian, and we pay homage to Brad Wells, a talented and collaborative Paint Memphis artist. Paint Memphis is one-day paint festival on September 30, that will bring over 150 local, regional, and national artists to our city. These artists’ murals arranged together will create the largest collaborative mural in Tennessee. This a place where artists can show off their talents and reflect the spirit of our city. 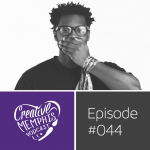 The project is designed to highlight overlooked communities in our city and to encourage communal growth within Memphis. It’s a free event open to the public with live music, food and drink trucks, vendors, and an all-day art show! 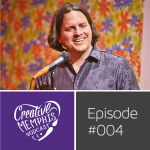 For the past two years, the festival has taken place at the floodwall at Chelsea and Evergreen in North Memphis with over 200 artists from across the world having contributed. 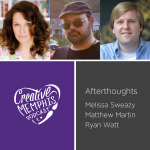 This year, Paint Memphis is Saturday, September 30 from 12 to 6 PM at 787 S Willett St between Central and Lamar, about two buildings east of the underpass as well as the Altown Skatepark on Roland St.